The vivid sensual details of the first half of the pamphlet bring a whole era to life, with subtly startling yet apt memorable lines, such as “tannin, bitter through the Tate & Lyle scree”. Not all stories from the era are sweet though, a darker side revealed in the hauntingly beautiful poems of the second half that gradually bring us back through poems that could be then or now to the present day and then the present day looking back, linking us again to the pamphlet’s opening. Each re-reading brings new connections with these evocative and atmospheric poems. Sarah James has been widely published in poetry magazines and anthologies. 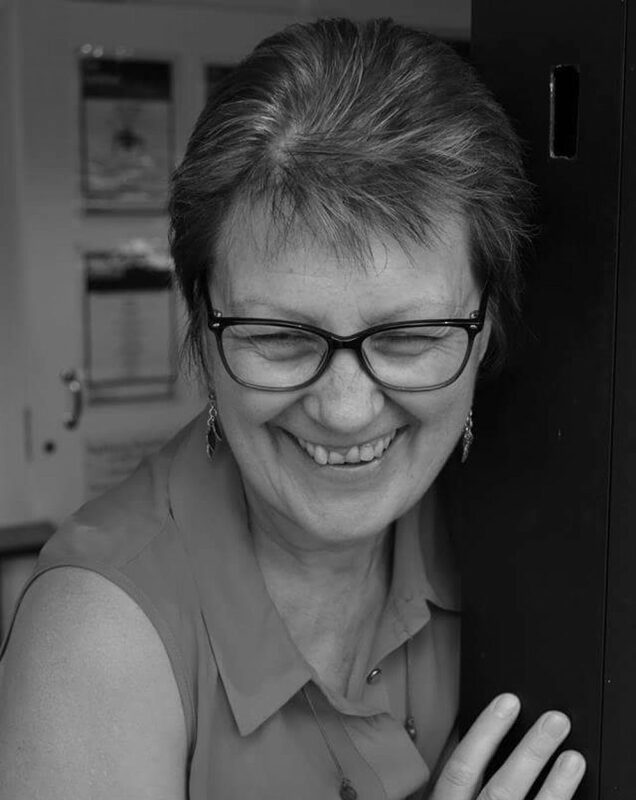 She has published four full-length poetry collections, most recently The Magnetic Diaries (Knives, Forks & Spoons Press) and plenty-fish (Nine Arches Press). She co-edits poetry small press V.Press. February’s the low point of the year, for me: a wilderness of sorts between resolutions/new beginnings and the official start of spring. It’s the colour grey. It’s moody blue. And, if social media’s a barometer, I’m not the only one who feels that way. But it’s over! Light levels are noticeably better, my garden’s budding and cat junior is swapping the close vicinity of various radiators for outdoor high jinks. 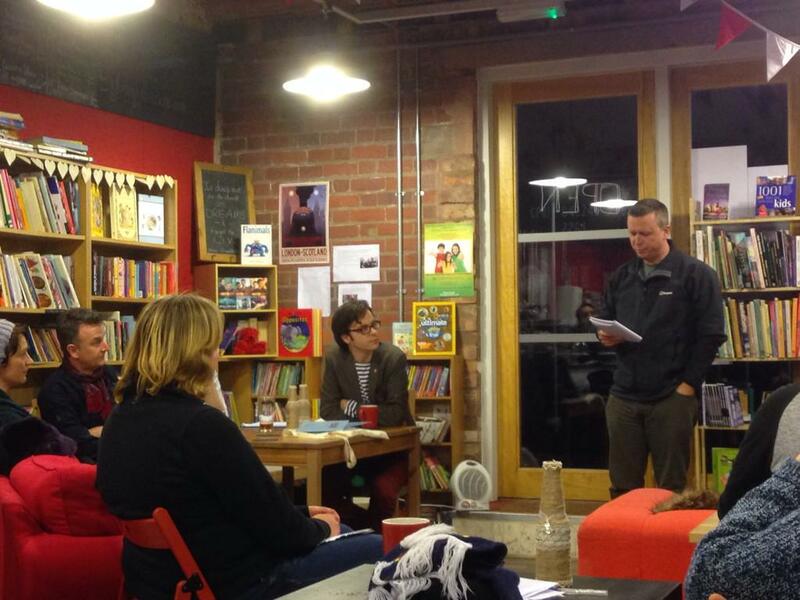 Fire & Dust and Nine Arches Press open mic: my first feature reading of 2015, alongside Matt Merritt at The Big Comfy Bookshop in Coventry. Matt’s reading included several poems from The Elephant Tests (NAP) including one of my favourites from the collection, The Elephant in the Room. 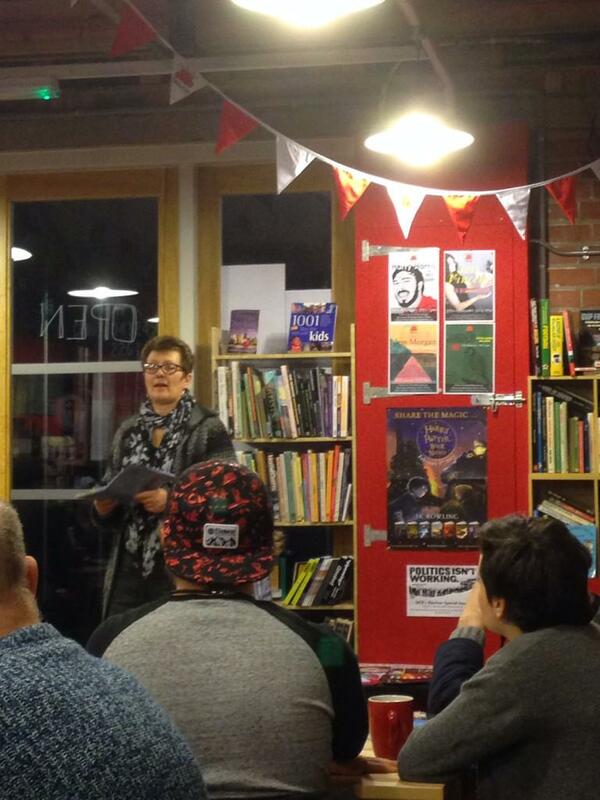 Nine Arches editor Jane Commane read too – a rare treat, as the poetry-packed Leicester Shindig! events seldom allow time for her to showcase her poems. Penelope Shuttle’s long-awaited headlining at Word! in Leicester on 3rd Feb. Wow! I only wish I’d been able to attend her pre-event workshop. Kathleen Bell’s feature reading finished the first half of the evening with some of her poem sequences. The List Cause: a Poetry School open online workshop. I wrote a poem. (There’s a plait in a paper bag in a box in our loft. It’s been trying to get into a poem for a while…). It’s been redrafted and workshopped again, since. It’s recuperating in a subfolder. It may become two or more poems. Carol Ann Duffy’s reading as part of De Montfort University’s Cultural Exchanges festival. Boy, can she play her audience! I love how she allows the words breathing space, her measured delivery, her deadpan eyeballing of the audience. The Laureate included several poems from The World’s Wife, my personal favourite amongst her collections. Rosie Garland’s second headlining at Word! When she appeared in 2012, she’d just won the Mslexia Novel Competition. Since then she’s published two novels: The Palace of Curiosities, and Vixen, now out in paperback. I loved both. Good, then, to hear excerpts from each as well as several poems. A consummate performer. Towards a better balance in life: half term, and a two-night sleepover by all four grandchildren for starters; pottering in the garden, secateurs in hand; a day trip to London (Grayson Perry’s Who Are You? exhibition at the NPG, Portobello Road Market, browsing the magazine shelves at The Poetry Library). Softening the blow of the latest rejection email (high hopes), is this afternoon’s news that issue 11 of The Lampeter Review is now available to read/download online, with my contributor’s hard copy to follow. You can read it on ISSU/download it for free, here. Our daughter’s arrival on Sunday for a week’s stay. States of Independence on 14th March: DMU’s annual hosting of this independent publishing fair. A diary highlight. A stint at the Soundswrite Press table and reading poems from Beyond the Tune as SWP marks its 10th anniversary. Soundswrite Press goes to Inzine Fest III @The Pod, Coventry on Saturday 21st. A feature reading, alongside Bare Fiction magazine editor Robert Harper, at Poetry Bites in Birmingham on Tues 24th. Details here. The Easter hols: Writing East Midlands Writers’ Conference in Nottingham; a five-day poetry residential in Cumbia; Adam Horovitz at Word! (and this time I can make the afternoon workshop). Life’s good! What are you looking forward to, this month?